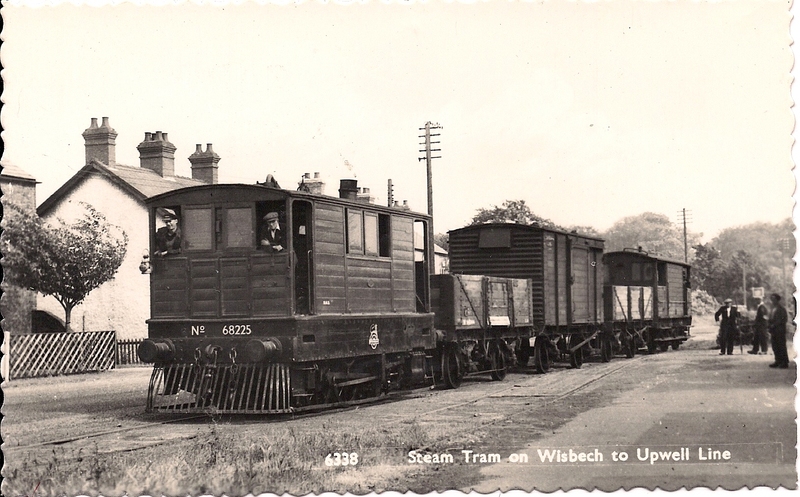 Been doodling around with track plans for the Wisbech & Upwell tramway, home to GER tram engines and latterly O4 shunters with side skirts over the motion. It all started with Iain Rice’s ‘Creating Cameo Layouts’ book, where I was looking at the little ‘Fen Drove’ layout, only 7.5′ long in 4mm scale. Simple, but offering plenty of operation, and a possible 4′ cameo layout in ‘N’. 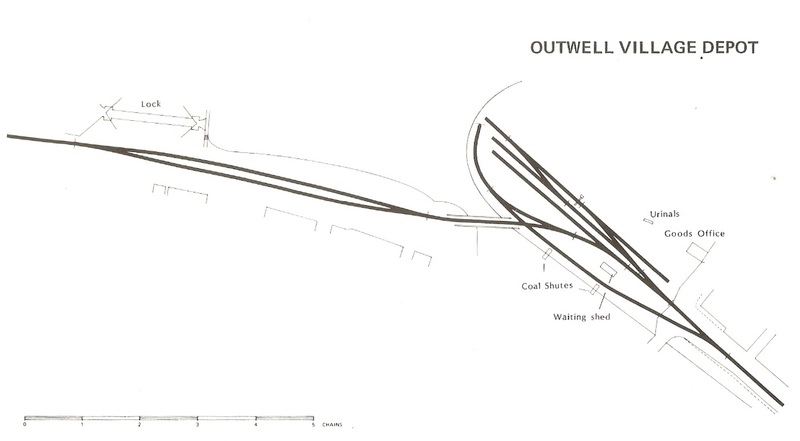 Further along the line we come to Outwell Basin Depot, the original terminus for the tramway. 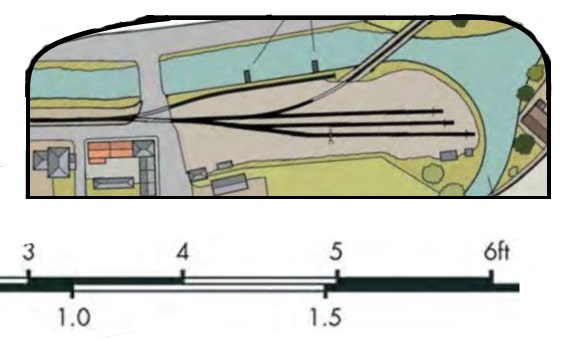 A very simple layout, but it could make a good model, as the old channel of the River Nene runs parallel (below) the line. 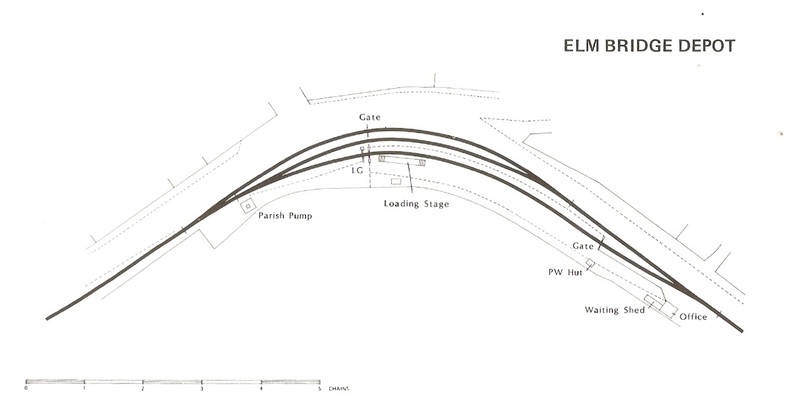 The railway crosses the river just to the right of this diagram, on a bridge approached by a short 1 in 30 grade, that complicated prototype operations at times. Then we come to the most interesting station on the line, Outwell Village Basin. This has been modelled in a wonderful 4mm layout, that is described in detail on RMweb, and has appeared in the model press. Not only is the track layout accurately modelled to scale, but the surrounding village has been correctly included. Here is the depot in GER days. 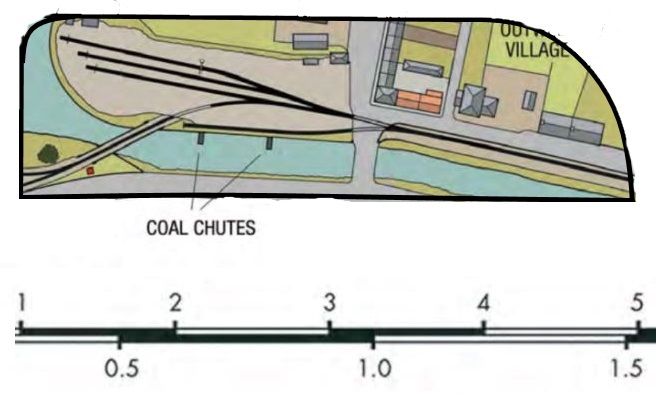 The layout was simplified in later years, losing the loop within the sidings and the diamond crossing together with the end of the long coal siding, that served barges on the River Nene through a series of unloading chutes. 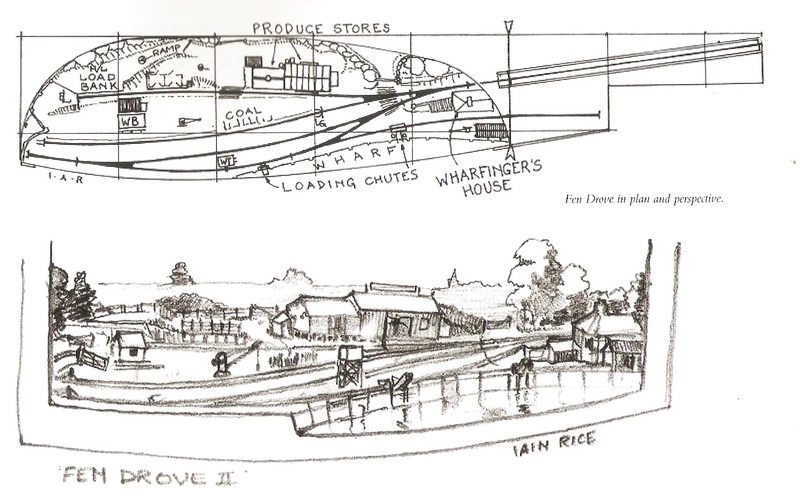 I then came across the design below in ‘The BRM Guide to Trackplans and Layout Design’, an ‘N’ gauge version of Outwell in later days. It’s a larger 7′ x 2′ sized layout, but 6″ could be lost to fit it on an internal plywood faced door. It would be an excellent ‘train in the landscape’ model, watching a short goods train amble along the riverbank. The only snag is perhaps the 9″ curves needed at each end, but this wouldn’t be a problem for the sort of stock found on the Wisbech & Upwell. I then took this plan and cut it down to a more manageable 4′ x about 1′. Making rails and river disappear at each end would be scenically difficult, but there is a good, but not excessive, village area to model. And finally I rotated the layout by 180 degrees, so that the River Nene is at the rear of the scene. The backdrop would consist of the houses along the road. This would make a very pleasant shunting layout with a fiddle yard to the left, with a possibility of a second fiddle yard through the backscene. And will I build any of these – probably not, as I have plenty to occupy me already. This entry was posted in Inspiration, Jon's layout ramblings, Layout design, Prototype and tagged inspiration, Layout design, model railway, small layout design. Bookmark the permalink.